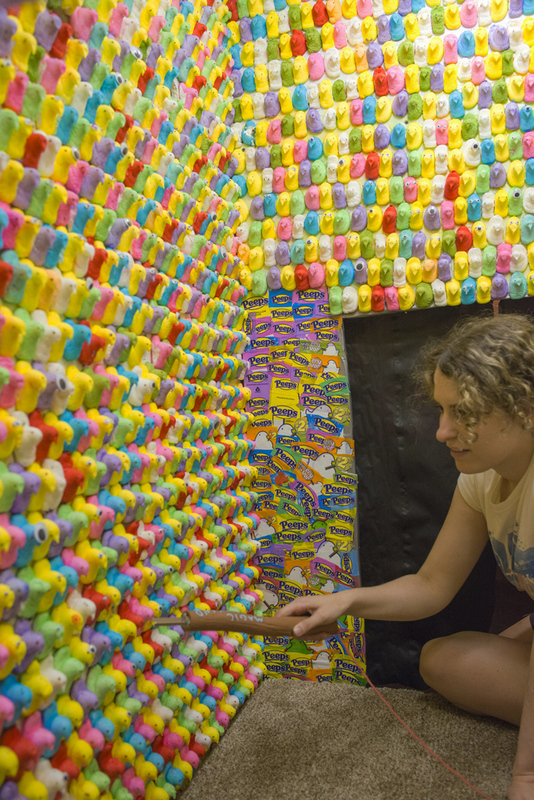 Briena Harmening and I collaborated on building Peeps Pod, one of 60 interactive pods in the Modular Arts Pod exhibition. Modular Art Pods was a weeklong immersive art show, featuring a giant “art tunnel” that you crawl through. The exhibition was curated by Tony Youngblood and held at OZ Arts Nashville in 2016. Our pod is themed around Peeps Easter marshmallows. 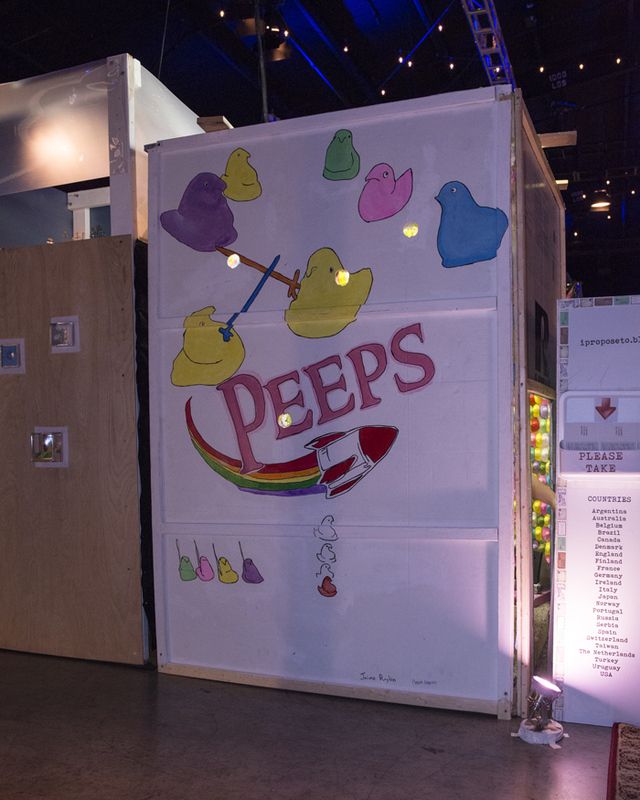 We used over 4200 Peeps to build the pod! We glued magnetic googly eyes to many of the individual Peeps for the viewer to interact with, using a magnetic "magic wand." The pod also included recordings of our karaoke-style renditions of the songs "Private Eyes", "(I Always Feel Like) Somebody's Watching Me", "Every Breath You Take", "Hungry Eyes", and "Eye of the Tiger". Peepholes on the outside of the pod allowed you to spy inside. Take a tour of our pod with this walkthrough video! This video interview with Briena and myself was one of ten videos featured in the the lobby of OZ to promote the Pods exhibit. This interactive video display was built by Joseph Hazelwood. The soundtrack to our pod was compiled onto a CD titled "NOW! That's What I Call Songs About Eyes". This was sold at a charity art auction held by David Hellams and David King to benefit Seed Space. This accompanying video is a parody of 1990's TV commercials for compilation CDs. Video directed by David King. © 2018 Jaime Raybin. All rights reserved.